Just watched Men in Black 3 should’ve been in bed, but it mesmerized me till 2 AM. It’s not really the same, but as I saw agent Jay get insight from the past as to his present & his future I realized how my past has prepared me for my future! Thank you God for preparing me I am so excited about the incredible things you have in store for me! Bless my family, my marriage, my kids and draw each one of us close to you that we may serve you for the many years that remain in each of our lives. No Warrant or Cherry Pie, but as I was studying for my commercial pilot test one of the questions was what part of the eye needs to adjust for night vision and how long does it take? Anyone know? Do you even know the parts of the eye? I didn’t! Well here you go Rods, Cones, Retina…know which one now or how long to adjust your eyes? The answer is 30 minutes and its the Rods. These phenomena arise from the nature of the rod-dominated dark-adapted vision, called scotopic vision. Kinda cool how at the end of the day as it gets dark the sky reddens and then dusk turns to dark and then to night. The cool fact is that the wind-down from day to night happens through the shades of red so our eyes can adjust. Hmmm think God mighta done that on purpose?! I was frustrated so hopefully this will help you. I get my voicemails as .wav attachments in an email and it got so I couldn’t click to open them or save them and then try and open them. …So here is the solution – Microsoft in their infinite wisdom sticks all your attachments in a temporary file and keeps them their even after you are finished with them and probably deleted most of them from your email inbox. I am running Outlook 2003 on a Windows Vista machine and here is all you have to do to fix your problem. Go the the following and it is a hidden file so a booger to find, so change the THIS IS YOUR USER NAME to whatever your windows logon name is and the rest should be good a ‘copy and paste’. Good luck! worked for me. You exit Microsoft Office Outlook 2003 or Microsoft Office Outlook 2007 while e-mail attachments are open. These attachments are from e-mail messages that are in a secure Outlook folder. Alternatively, Outlook unexpectedly closes. When this occurs, the attachments remain in the “Outlook Secure Temporary File” folder. This occurs even if you close the attachments after you exit Outlook. Additionally, if you open the attachment to the e-mail message from the Preview pane, you do not receive a prompt to save changes when you exit Outlook. This problem occurs because Outlook 2003 and Outlook 2007 cannot remove the temporary file or dispose of the secure temporary folder while the attachments are open. Ok it’s your birthday, we goin to party like it’s yo birthday! Well like the Free Food page I like FREE for my B’day too! So here are the birthday ‘Free’ clubs or offers I have. Most of them you have to join their email list, got an email set up for those offers only! These are in no particular order, just how they came to mind or in my email. Landry’s Club, which is really a lot of places from Joe’s Crab Shack and the Golden Nugget Casino to Salt Grass Steakhouse, which is the one I really care about. $25 food credit the month following you b’day???? Kobeya Steakhouse (Southlake, TX) – 15% off => not really big deal? I guess the best thing you could conclude is that we are blessed and have more than we could ask for or imagine if my daughter also has an iPhone…that we are now jailbreaking, huh?! Well my princess went to bed while her brother and I messed with his new toy…and she told me it must be done before she awakes! So now I’m back from outer space shoulda changed the lock, thrown away the key….screech! Wait not that song ‘using a timer this time’ 7:02, is the time we’ll see if she notices in the morning. My son…and daughter are about to perform surgery! 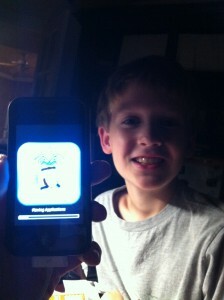 iPhone 4 will be freed! uh, not helpful! What the heck? So now we download the “latest verious of Redsn0w” and er a we try again. Please Jesus let us not break the phone! Ok folks start your timers aaagain! 02:26 GMT so I think it would be important to say I told my kids it would take 5 mins to do this, it took 6 unless you factor we didn’t include seconds then maybe I was right! Well charter doesn’t supply any books or anything on setting remote control codes for TV. Anyhow I couldn’t find a remote control code for a Dynex TV I have on Charter, but I finally found this site and it did the trick! 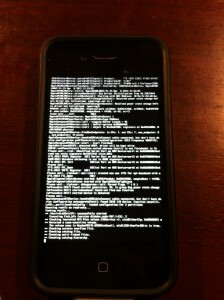 Upgrading your iPhone to iOS 5.1.1 through iTunes will update your baseband, potential removing or ruining your chances for an unlock. 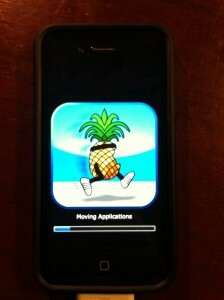 Please follow this tutorial on how to update to iOS 5.1.1 using a custom ipsw if you need an unlock. Remember to save your SHSH Blobs by following this tutorial before continuing. IOS 5.0.1 still issues, but mainly I think from snappy, which is crappy a program that is supposed to make the camera load faster and it crashes and kills the camera and messes things up in ios 5 vs 4.3 when it was kinda helpful. 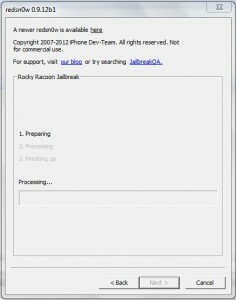 Paid for that one too, so 5.1.1 won’t see crappy snappy come back!